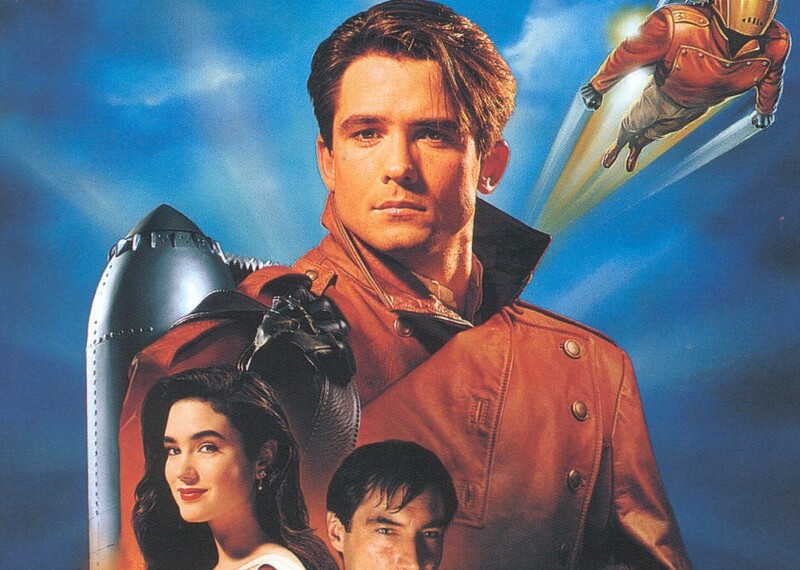 Disney is working on a reboot of notorious 1991 flop The Rocketeer, Vulture reports. The Joe Johnson adaptation of the comic, starring Billy Campbell and Jennifer Connelly, grossed only $45 million at the box office from a $35 million budget. Vulture suggests the surging popularity of Iron Man has inspired the hit-hungry studio to reinvent the similarly iron-suited hero. No doubt they could use a franchise of their own, besides those already owned by their shingles Marvel and Pixar. Hell, the Rocketeer is my favorite movie of all times. . .